A Darker Shade of Magic is a book that already has a ridiculous amount of hype, which is kind of crazy since the book only came out a few months ago. Everyone seems to have loved this book and well, if you came to my blog looking for the black sheep review, I'm sorry but you're out of luck. I adored this book just as much as everyone else! I was swept away by it's alternate Londons, each more wondrous than the last. I fell in love with it's characters, and found myself captivated by the heroes and villains alike. The story was fresh, exciting and beyond imaginative. And the magic? Well, the magic was unlike anything I've encountered before. And being an avid fantasy reader, that is saying something. All I know is that I need more. Even more than the two expected sequels, I'm talking about needing a whole mess of sequels. Yup, this is a world I could spend all my time exploring. Admittedly, A Darker Shade of Magic felt a little confusing to me at first. All the alternate Londons were described in such an offhand way by our main character Kell, that I was worried I'd never get them sorted. Have no fear though, because things fall into place soon enough - and that's where the amazing stuff kicks in. See, as one of the last travelers, Kell's ease in describing all of the alternate Londons makes sense, since he's one of the only people who can travel between worlds. As soon as the reader catches on to what makes each London unique, all you have to do then is strap yourself in and enjoy the ride! 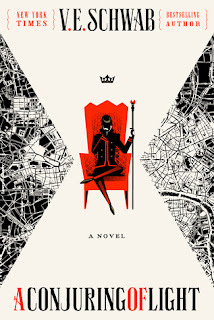 At the start of the book, Kell already makes his way through Grey London, Red London and White London, so the reader gets to experience all of them first hand, along with him. Then it becomes easier to see what sets each world apart, which one feels the most familiar, which one you'd give anything to visit, and which one scares the living daylights out of you. As the titular character, Kell is exactly what I look for in a hero, because he's not looking to be a hero. He's content to go about his royal duties delivering correspondences between Londons, and smuggling the occasion item from one world to the next for collectors and whatnot. Basically, he's a good guy who like to play by his own rules *swoon* But, when his antics get him in a big mess of trouble, he never falters, not for one second. He has a strong moral compass and he knows that if he got himself into this mess, he's the one who must fix it, whatever the cost. Luckily for him, Lila shows up just around that time - to rob him - but then that she sticks around to help him out of one tight spot, and then another, until they're as thick as thieves -pardon my pun. Lila is an interesting character in her own right. When we meet her, it's a little hard to connect with her, mostly because she's probably spent her entire life putting up a front to scare people off. As the story moves forward though, she proves herself time after time and it didn't take long for me to warm up to her. She's got a smart mouth, a fiery spirit and the way she and Kell play off one another is a whole lot of fun. 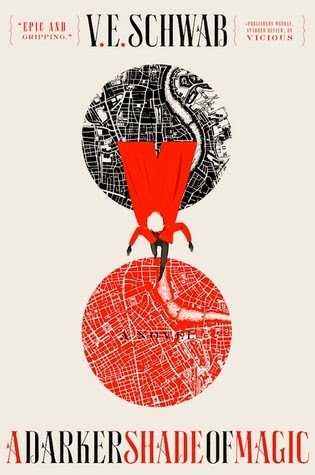 Plot-wise, A Darker Shade of Magic delivers, and then some. It starts off almost unassumingly but then before you know it, it's crossed over into epic and you find yourself hopelessly sucked in and compulsively turning the pages until the very end. It was like one second, I was enjoying this pretty cool book and in the blink of an eye, I was devouring it like there was no tomorrow. It was kind of crazy. The progression of the story happens naturally and effortlessly thanks to V.E. Schwab's insane prowess as a writer and by then end, you won't know what hit you! Between the action, the magic, the character-development, the plot and the lighter moments, A Darker Shade of Magic is a story that captures your soul and leaves you begging for more. 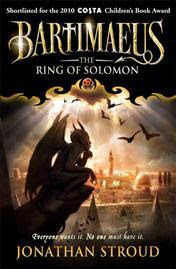 Highly recommended for fans of adult and young-adult fantasy! You all need to read this book. I found your review on the Starships blog - I just added the review of A Darker Shade of Magic myself. I agree, this is one great book! I loved both Kell and Lila - but you're right, Lila is a bit difficult to love at first. But perhaps this is why I grew to love her so much more by the end. Oh awesome! I'll head on over to your review in a sec. I'm glad you enjoyed it! I really loved this one. It took me a bit to warm to Lila's character, just because she felt a bit samey, but I loved them both in the end. I didn't realize there were sequels slated. Hurrah! I seriously can't wait to read this one! I'm so excited you gave it five stars. 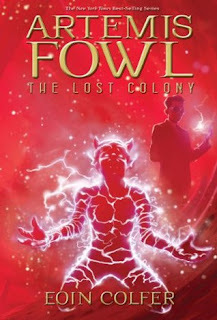 Soon, soon this will be mine, I plan to pick up the audiobook at the end of the month when it comes out. Thanks for the review! Thanks lady^^ I'll definitely be looking out for your review, I need to gush some more LOL Kell and his coats were amazing and so was Lila the pirate ;) There's a definite NEED for more than 2 sequels, I'll tell you that much! YES, the London setting was a HUGE draw for me as well, of course ;) Gah! I hope you can get your hands on it soon, I'm already looking forward to chatting about it with you :D Oh and I've only read Vicious by her other than this one^^ but ALL of her other books are on my tbr shelf since! Ohhh yeah!! Now as much as it excites me to read everyone's reviews where they rave about this one, there's something even more exciting about reading a review from someone I know to be an avid fantasy fan - and a trustworthy one at that :D Because I know I can be quite picky when it comes to fantasy and I'm always looking for something NEW that will stand out from the pack - seems like this one will do the trick. Can't wait to read this!! hahaha I completely know what you mean Aylee^^ As much as fantasy is my favorite genre, I can be really picky about it too - I wasn't sure at first how this one was going to go and if it was going to live up to all the hype, but then all of a sudden, it went from great to AWESOME :D I can't wait to hear how you make out with it!! Everyone raves about this book (and this author), but for some reason I just can't bring myself to be excited about it - and I can't figure out why. Have you ever had this happen? I think I need to pick it up anyway! Have you read any of Schwab's other books, Micheline? I've read The Near Witch and loved that one. Five stars, eh? This is on my TBR, so I didn't read your whole review - I'm so afraid to be spoiled I just don't dare to, even if I know you don't usually include any in your reviews, Micheline. I have to say I'm happy you loved it so much, though. I need to find the time to read it very soon!